Tuner makes the baby-Bimmer ready for the track with upgraded suspension and new wheels. California-based tuner European Auto Source enjoys upgrading BMWs and its latest project is based on a TiAg ("Titanium Silver") BMW E82 135i. The aim of the aftermarket project was to make the baby-Bimmer ready for the track, while maintaining its street-going nature. This they achieved by fitting the car with an Ohlins Road and Track DFV Coilover System as part of an enhanced suspension package. 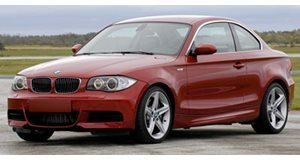 They then resoled the 135i with 18-inch Apex Arc-8 alloys, wrapping them in Hankook RS-3 rubber.